The moment a tooth is lost is the same moment that the root comes out as well. The root is the portion of the tooth that sits beneath the gum line and is responsible for stimulating bone tissue that makes up the jaw. If the tooth is missing, this stimulation is no longer occurring. Typically, chewing would work to keep the bone stimulated, resulting in the jaw’s consistently strong biting force. Additionally, a missing tooth root negatively affects blood flow to the cheeks and gums. That means the jaw bone cannot absorb the essential nutrients it needs to thrive. Instead of staying in place, the bone begins to reabsorb back into the body where it can be better utilized. Unfortunately, this also means that your jaw will become weaker over time, making it difficult to chew and digest foods the way you’re used to. When it comes to tooth replacement, there are really no other options that can compare to dental implants. Not only do they replace the crown portion of teeth, but they also restore the root. This is done via a titanium post, which is biocompatible with your existing bone tissue. This prevents your current oral structures from rejecting the implant after implantation. With an effective post to replace your tooth root, this means your jaw will be able to receive the stimulation it needs to prevent resorption and reestablish blood flow. These benefits are two-fold since you’ll be able to eat the foods you want with ease and maintain the overall shape and appearance of your face. Keep in mind that the benefits of dental implants are far more extensive than you’d think at first. Not only do they promote positive oral and overall health, but they look, fit and feel almost identical to natural teeth. They are fixed devices, which means they do not require removal to clean and maintain. Based on clinical studies, they last longer than any other tooth replacement option (between 25 years and a lifetime) and remain extremely durable. You can eat the foods you want, smile with confidence, avoid long-term damage to your jaw and prevent changes in your appearance! 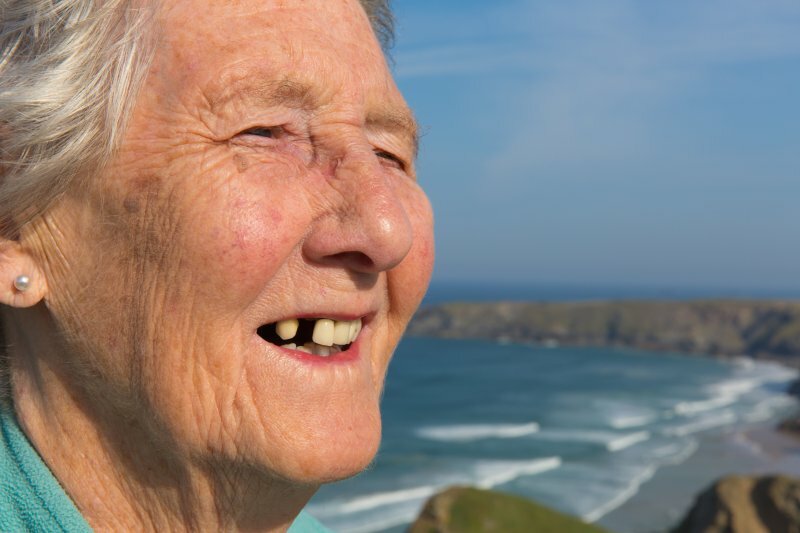 Replacing teeth is about more than simply rebuilding your smile. It’s about doing your long-term oral health a favor. Schedule an appointment with a dentist to learn more about dental implants in Waco! Dr. Rick Cofer is highly-qualified to place and restore dental implants in his office. He’s dedicated nearly 200 hours of continuing education dedicated solely to implant dentistry and has worked on hundreds of cases with other patients. To learn more about his practice, you can contact him through his website. by: Dr. Rick Cofer at March 28, 2019 .